On Battle of Britain Day in 2007, an article in The Financial Times's "Mrs Moneypenny" column questioned why was there no memorial in London to Sir Keith Park? He was, after all, the man of whom Chief of the Air Staff Lord Tedder had said, 60 years earlier, "If any one man won the Battle of Britain, he did". Yet, apart from a crescent in Biggin Hill, Kent – the home of one of the RAF aerodromes under Park's command – there was no longer anything in this country either to commemorate his name or celebrate his outstanding feat of leadership. Among those who responded to the article was Terry Smith, Chief Executive of Tullett Prebon, who pledged his financial support for a fitting memorial statue. The Sir Keith Park Memorial Campaign was officially launched in March 2008 to raise public awareness of the vital role Park had played in the greatest aerial battle ever fought, and to secure a suitable site for a memorial statue to him in London, the city he did so much to defend. The Campaign was successful in securing support from many individuals and organisations including members of the extended Park family in the UK and New Zealand, surviving Battle of Britain veterans and serving members and veterans of the RAF and our other forces. In the UK more than 60 MP’s from all parties, numerous peers and London Assembly Members gave their backing to the Campaign, together with the leaders of all the New Zealand political parties, including the Prime Minister. Crucially, thousands of members of the public and many organisations demonstrated their support by signing our petition. The initial aim was for a statue to Park to be erected on the empty "Fourth Plinth" in London’s Trafalgar Square alongside Nelson's Column, but this was revised due to complex planning issues and outstanding commitments to exhibit contemporary sculpture on the plinth. Instead the Mayor of London, Boris Johnson, offered a six-month temporary installation of the statue on the Fourth Plinth and gave his full support for a permanent memorial statue to be installed in a prominent and suitable site elsewhere in London. Westminster City Council granted approval for this dual proposal in May 2009. The prominent Australian sculptor, Leslie Johnson, was commissioned to design both memorials. In November 2009, the Campaign was successful in erecting a temporary fibreglass statue on the Fourth Plinth in Trafalgar Square, which stood for a six-month period before being moved, the following May, to the RAF Museum Hendon where it is now on permanent display in the Battle of Britain Hall. Then on Battle of Britain Day 2010, the 70th Anniversary of the Battle of Britain, a permanent bronze memorial statue to Sir Keith Park was unveiled in Waterloo Place, a prominent location in central London that celebrates another great victory over tyranny. Just as importantly, Sir Keith's name and achievements had been brought to the attention of hundreds of thousands of people of all ages and nationalities. "Although the statue is of one man, it is emblematic of the real story of the 3,000 or so RAF pilots who fought in the Battle of Britain," wrote "Mrs Moneypenny" in The Financial Times. “Park was not British – and neither were one-sixth of those who fought to save our country from Nazi Germany. The single largest contingent of foreign pilots was Polish, followed closely by New Zealanders, Canadians and Czechoslovakians. It is worth taking a moment to remember all those of other nations who took to the skies to defeat the Luftwaffe. They were very young – the average age of an RAF pilot in 1940 was 20, too young even to vote in the UK, but not too young to lay down their lives for their country, or even a country to which they had no special allegiance. Against all the odds, they succeeded, against a Luftwaffe which not only outnumbered them but was better equipped. "My original column set off a spark, but it was not I who lit the fire, and more importantly, not I who kept it burning until the campaign to erect a temporary, and then a permanent, statue to commemorate Keith Park was successful. It took one man (and the support of hundreds) to launch the campaign and see it through, and this week he will see the culmination of all his, and their, work. The chairman of the Sir Keith Park Memorial Campaign, Terry Smith, will be at the unveiling of the statue, as will the defence minister of New Zealand and representatives of the other countries whose citizens served alongside ours. As will, I suggest, the spirit of Sir Keith Park, embodied in the tenacity that has characterised both the whole campaign, and the man who led it." The two statues of Sir Keith Park, both temporary and permanent, were cast from a one metre-high clay maquette by the leading sculptor Leslie Johnson, whose design was chosen from a field of seven after an international competition commissioned by the Sir Keith Park Memorial Campaign. Les Johnson is a sculptor of remarkable talent and is acclaimed as one of the finest figurative sculptors of his generation. He was born in Australia and studied fine art in Sydney and Melbourne before coming to Britain. Here he specialised in sculpture under Michael Marriott FRBS at the Sir John Cass School of Art, London. He perfected his knowledge of the human form by studying anatomy at the Department of Anatomy, University College London. He is a Fellow of the Royal British Society of Sculptors. "My research into the life of Sir Keith Park revealed a man of quiet confidence and determination," said Mr Johnson. "I decided the best way to communicate this in sculptural form was through understatement. I have portrayed him without any grand heroic gesture. He is quietly standing, pulling on his gloves ready for the fight and looking confidently towards the sky and the future. "After German raids he would fly his own aeroplane out to the airfields to see the damage for himself and talk to the people involved. It was therefore important to show him as a hands-on leader and not stuck behind a desk. 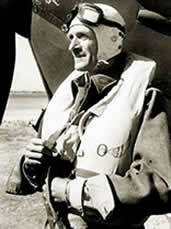 I have portrayed him wearing what was so unique to him – his civilian flying helmet, his pilot's boots and with a life jacket over his RAF uniform. 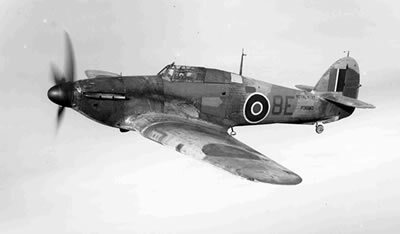 "It was only when I started researching that I discovered the full extent of Sir Keith's outstanding career, and what a vital contribution he was able to make during the Battle of Britain. The repercussions of what would have happened had he failed in the defence of London and the South East would have changed the course of the war. You can only stand back in awe of such a man. I feel privileged and very proud to be part of this project." The five metre-high temporary statue for the Fourth Plinth in Trafalgar Square was fabricated in fibre-glass at Weta Workshop in Wellington, New Zealand, and shipped to London. Following its six-month occupation of the Fourth Plinth, it was donated by the Campaign to the RAF Museum Hendon where it is now on permanent display in the Battle of Britain Hall. The three metre-high bronze version of the statue was cast at the Bronze Age Sculpture Casting Foundry, based in London's Docklands, and was permanently installed in Waterloo Place on 15 September 2010, the 70th anniversary of the Battle of Britain. Les Johnson's other public commissions include: a tribute to London dockworkers, installed on the north side of the Royal Victoria Dock in August 2009; a statue of football manager Brian Clough, erected in Nottingham city centre in November 2008; a memorial to Royal Navy clearance divers at Gunwharf Quays, Portsmouth; and a memorial to honour the victims of the transatlantic slave trade and their legacy in London's Hyde Park, the first such memorial in any major world capital city.